Can anyone post quarter, time left and all that fun stuff for the people who aren't able to listen/watch? We need to stay aggressive on offense. 3:59 3Q. Tulane ball, own 30 after acrobatic pic. Bradwell TO THE HOUSE. 73 yards. So we'll get another 1.5 yards of offense in our stats when we March down and score here. Huge run by Bradwell!! 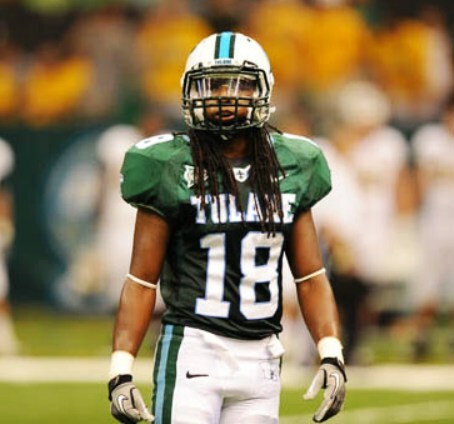 73 yards td tulane!!! Take it to the house, Darius Bradwell! 76 yards has the big parade! WOW...... I was pressing submit on that post above when Bradwell broke free! That's OK. We knew you meant a 1-play "march." I’m almost crying! What a game! Nice run by USF, but on holding call it comes back. Bradwell and Dauphine each have over 110 yards rushing. 2:18 left in the half. First down on a penalty. They convert on a penalty. Pat blocked! That preserves a 4 score lead. Last edited by tulaneoutlaw on Sat Nov 03, 2018 5:03 pm, edited 1 time in total.